We're coming up on the last day of January, and things are starting to look fishy here in Central Washington. The Yakima is fishable, save for the lower end of the canyon where there is still a lot of shelf ice, and we have actually been able to log some time on our home river. Nymphing the winter standbys like Pat's Stones, San Juans, Zebra Midges and Glo-Bugs have all been catching fish. Swinging streamers has been a fun way to catch fish on a tight line, especially on lightweight switch rods, and has been scratching the itch for those local anglers unable to make the long drive out to the OP. 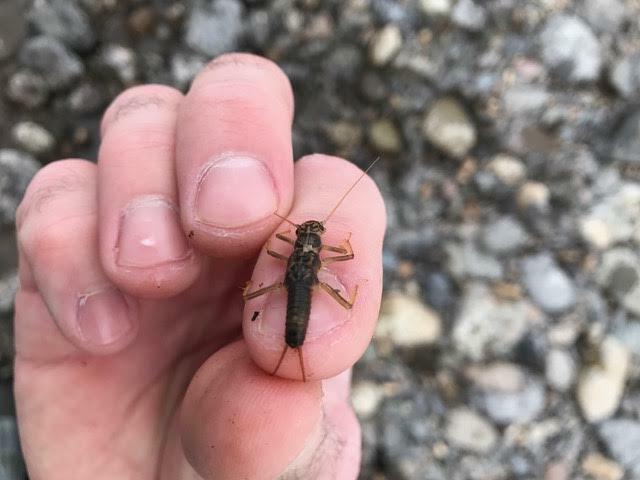 A friend of the shop was out running his dogs at Ringer today, and found several Skwala nymps crawling around under the rocks, so the spring stonefly countdown has officially begun! Lot's to look forward to over the next several months, hopefully we will see you on the river!